Neil Basu urged people who is worried about suspicious behaviour and activity to report their concerns to the police. Neil Basu launched the Action Counters Terrorism (ACT) campaign in London yesterday. 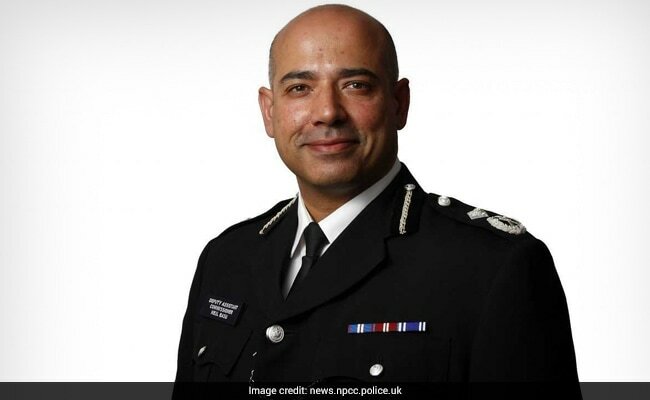 London: Scotland Yard's newly appointed Indian-origin counter-terrorism chief, Neil Basu, has launched a new campaign to urge the public to help in the fight against terrorism. The Metropolitan Police Assistant Commissioner of Specialist Operations revealed that last year more than a fifth of reports from the public produced intelligence which is helpful to police. "Since the beginning of 2017, we have foiled 10 Islamist and four right-wing terror plots, and there is no doubt in my mind that would have been impossible to do without relevant information from the public," Basu said at the launch of Action Counters Terrorism (ACT) campaign in London yesterday. "We have been saying for some time now that communities defeat terrorism, and these figures demonstrate just how important members of the public are in the fight to keep our country safe," he noted. According to the police data, of the nearly 31,000 public reports to the Met Police's Counter Terrorism (CT) Policing unit during 2017, more than 6,600 (21.2 per cent) resulted in useful intelligence information which is used by UK officers to inform live investigations or help build an intelligence picture of an individual or group. Research carried out by CT Policing suggests that while more than 80 per cent of people are motivated to report suspicious activity or behaviour, many are unclear exactly what they should be looking for. The ACT campaign, accompanied by a 60-second film based on real life foiled plots, aims to educate the public about terrorist attack planning and reinforce the message that any piece of information, no matter how small, could make the difference. "Like other criminals, terrorists need to plan and that creates opportunities for police and the security services to discover and stop these attacks before they happen. But we need your help to exploit these opportunities, so if you see or hear something unusual or suspicious trust your instincts and ACT by reporting it in confidence by phone or online," Basu said. He detailed some forms of suspicious activity, which could involve someone buying or storing chemicals, fertilisers or gas cylinders for no obvious reasons, or receiving deliveries for unusual items, or someone embracing extremist ideology, or searching for such material online. UK Security Minister Ben Wallace added: "The police's fantastic ACT campaign is rightly highlighting the vital part that communities are playing in defending this country against terrorism. "The public should remain alert, but not alarmed, and I urge anyone who is worried about suspicious behaviour and activity to follow this advice and report their concerns to the police."